Elyssa Abbott, a sophomore in the Magnet Program at NCHS, joined newspaper to pursue her dream profession of being a journalist. The youngest of 3, Abbott enjoys spending her free time watching movies and listening to her favorite artists; Tyler, the Creator, Khalid, and Frank Ocean. Traveling is a continuing aspiration for her future. She has already crossed some of her dream destinations off her bucket list. With the Magnet Program, Abbott has already traveled to Costa Rica, Australia, New Zealand, and Fiji. She plans on visiting several countries in Europe the summer after her junior year. Often found exploring different coffee shops, some may even call her a coffee connoisseur. One of her greatest loves in life is fashion and shopping. 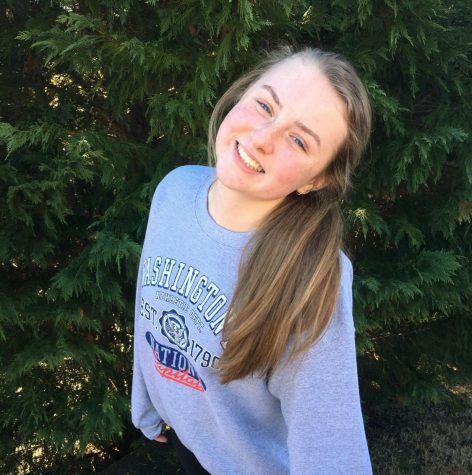 During Abbott’s 2nd year at North Cobb, she started an activist club, Change for Change, which was formed to support charities around the world. Activism is one thing that she is truly passionate about. Abbott is currently learning American Sign Language and is involved with the ASL Club at North Cobb. She also immerses herself in her faith by participating in mission trips and retreats at St. Catherine’s of Siena Catholic Church. She hopes to one day work and travel as a journalist on the west coast. With her involvement in activism and her community, her travel experiences, and passion for writing, she will serve as a great asset to The Chant.